PRICE REDUCED!! SPACIOUS COLONIAL IN ATTLEBORO! This is a huge home with even bigger potential! Over 2200 sq ft of living space. Spacious rooms throughout both levels and then there is still a walk up attic and very large and functional basement. There are four bedrooms and a full bath all on the second level. There is a screened/enclosed porch the wraps around to the side of the home. 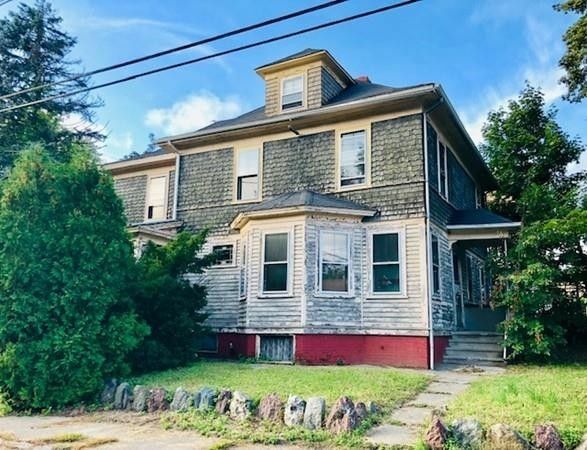 This once grand colonial has been let go, but for a buyer with vision, this home could be brought back to its once traditional splendor and beauty. Schedule your showing today! Directions: At the corner of Orange St. and Pine St.